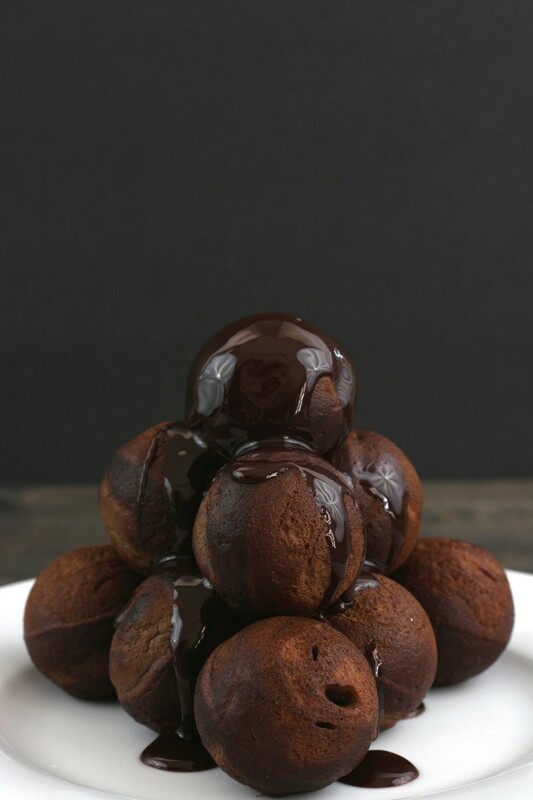 Peanut Butter Chocolate Muffin Bites! 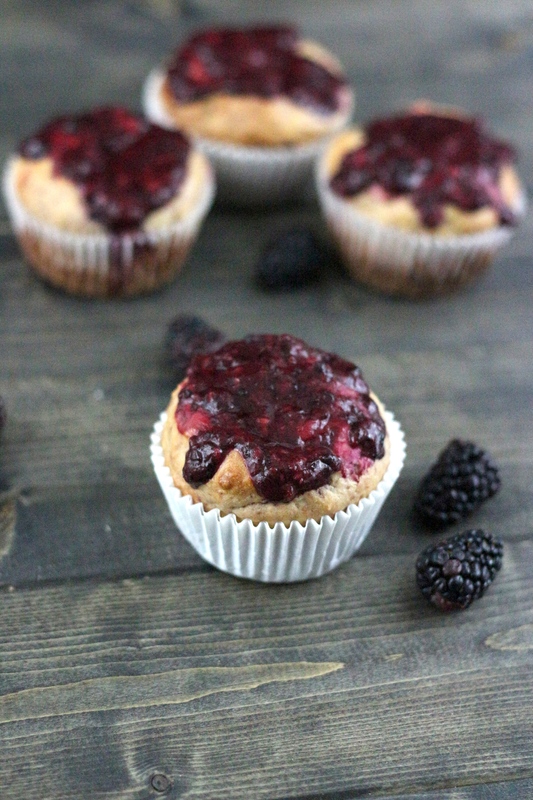 Gluten Free and Dairy Free! I have mentioned in a previous post that breakfast time is always hectic in our house. Children running around, husband rushing out the door, dogs barking, it is like a mad house. 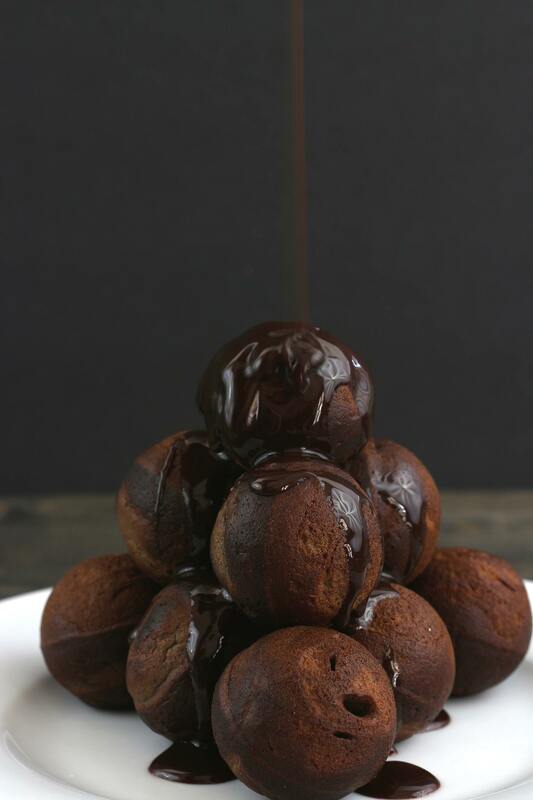 I strive to make easy breakfast food that is also easy to eat on the go and these Peanut Butter Chocolate Muffin Bites are just that. 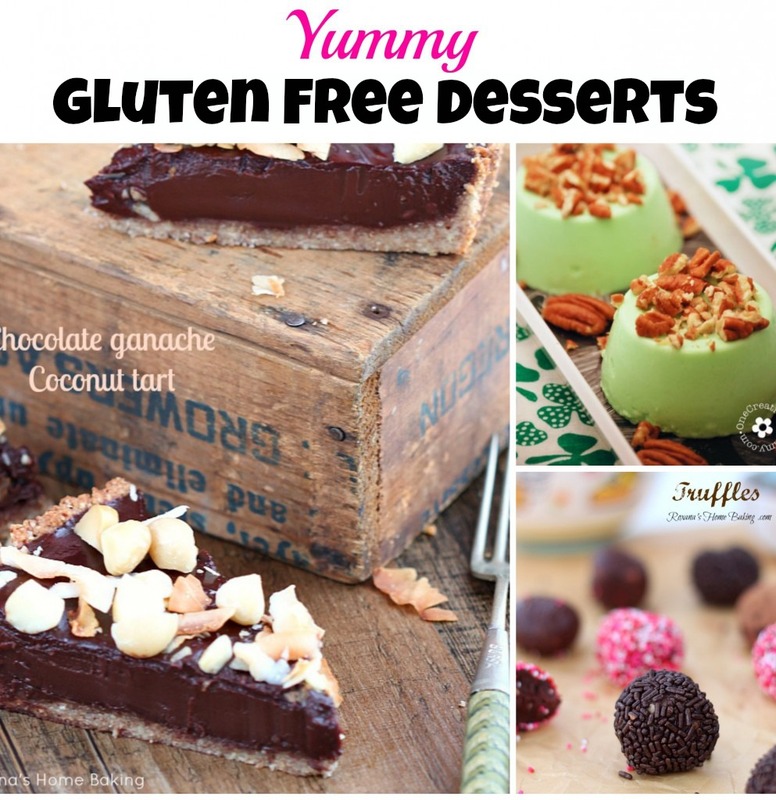 Plus, they are gluten free and dairy free, so everyone is happy in house! Just a heads up, I did use my awesome cake pop maker to make them (which I LOVE), but you can use a mini muffin tin or even a cupcake tin. I have included the directions for all three! 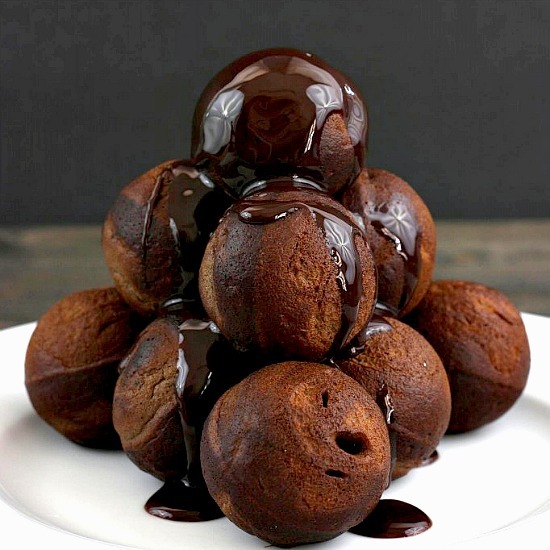 Drizzle some chocolate syrup over the top and it even makes for a great healthy dessert! In a large bowl combine all ingredients until well incorporated. 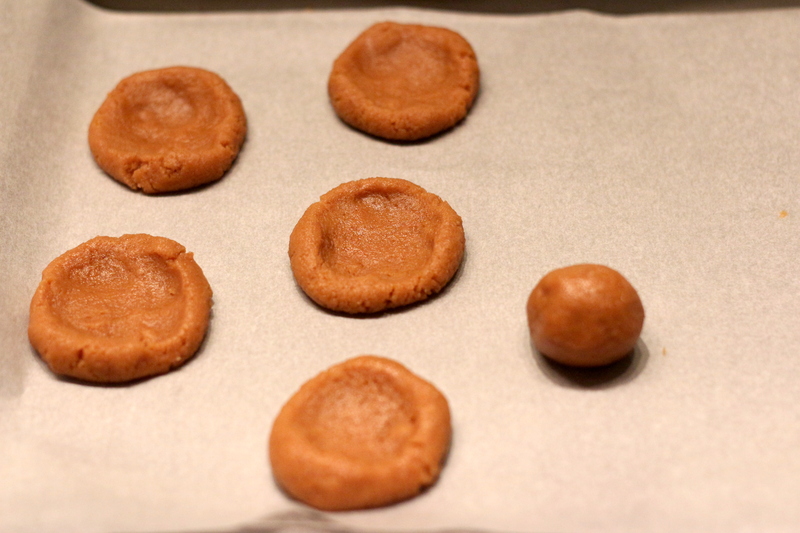 Fill the cake pop maker and bake for 4 minutes or until a toothpick inserted into the center comes out clean. Grease or line muffin tin and fill halfway, bake for 8-10 minutes or until a toothpick inserted into the center comes out clean. Grease or line Cupcake tin and fill halfway, bake for 18-20 minutes or until a toothpick inserted into the center comes out clean. I LOVE Greek Yogurt but just eating with some fruit and granola just does not cut it sometimes. So, I have reached out to some other awesome bloggers to see if they would share some of their favorite ways to use Greek Yogurt. You wouldn’t believe how versatile it is! 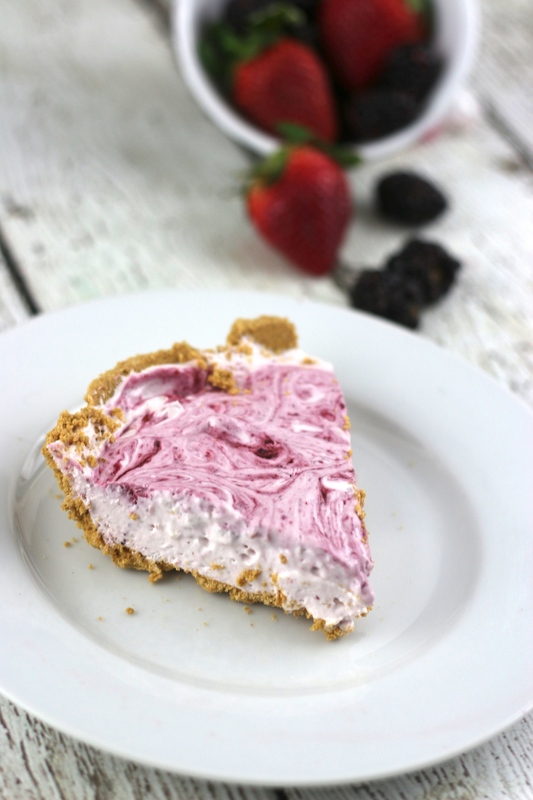 Greek Yogurt is not just for breakfast anymore! 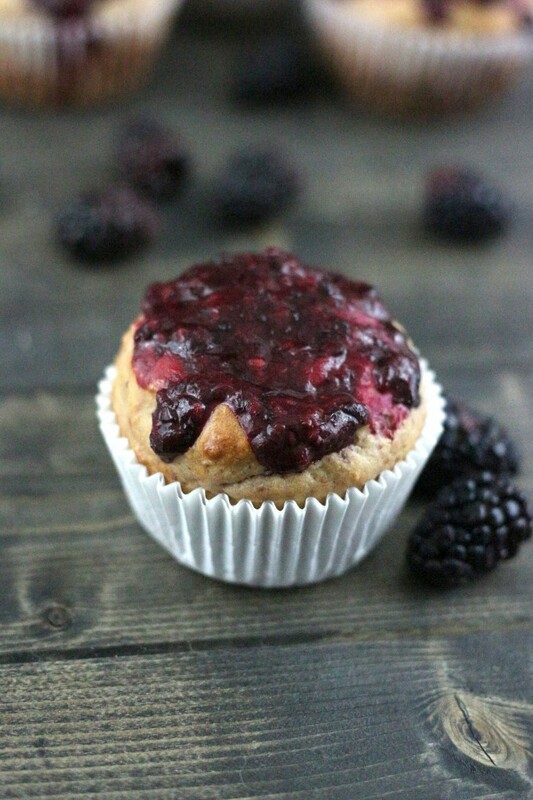 Check out some these yummy recipes and let us know what ones you plan on trying! 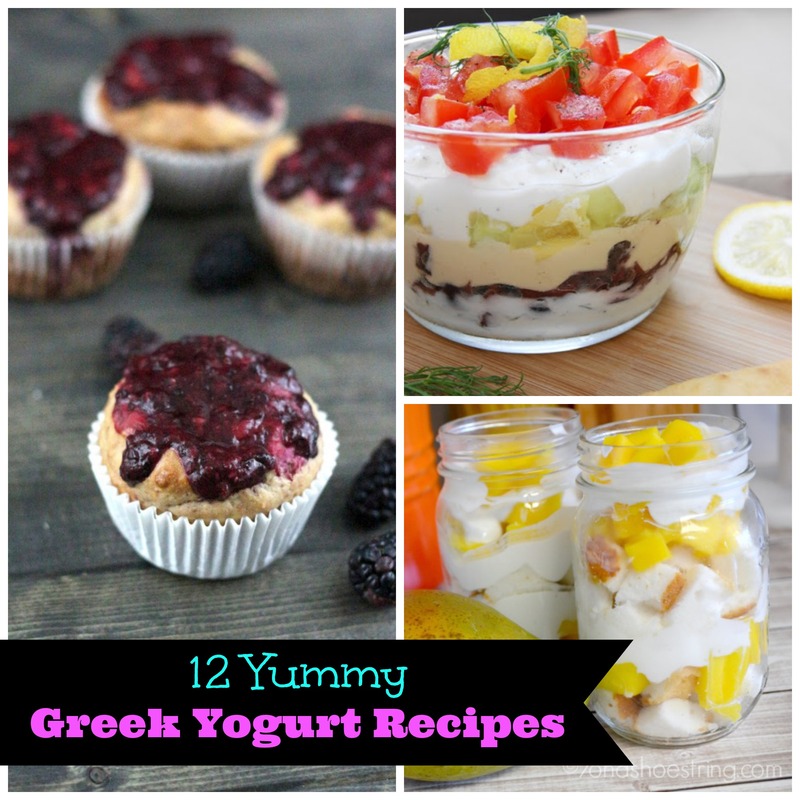 What is your favorite way to use Greek Yogurt? 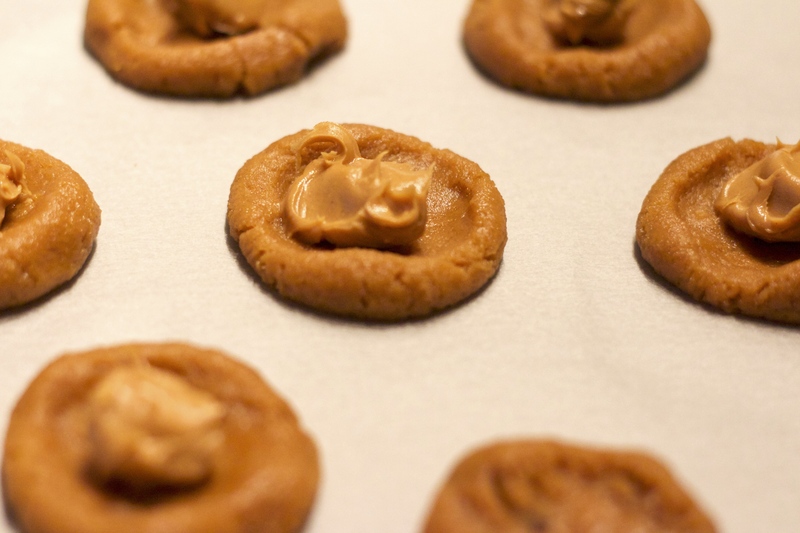 I am a peanut butter addict. I go through a least a jar a week, I put it on everything from bananas to waffles! 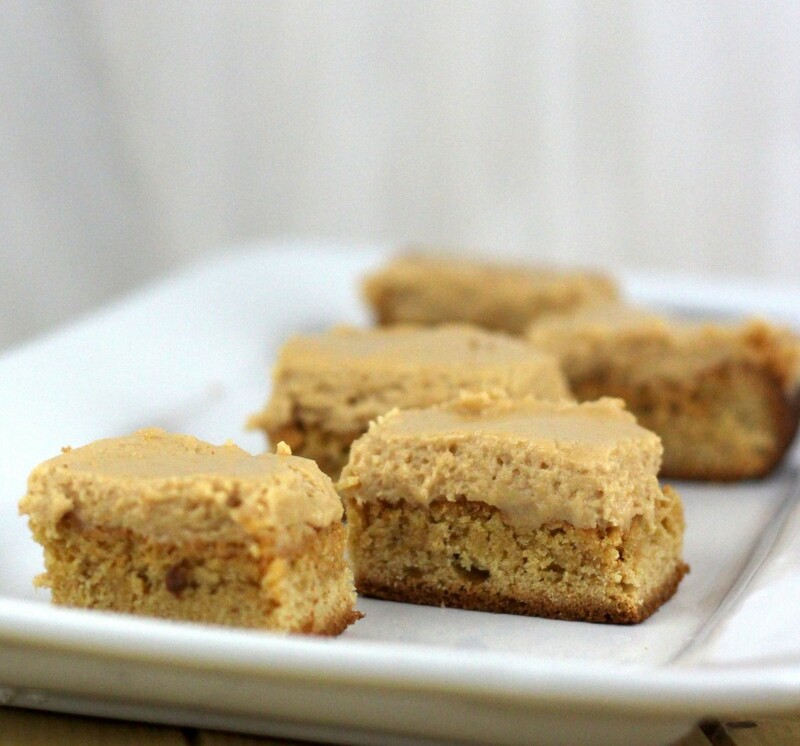 I also LOVE baking things that include peanut butter, and these Peanut Butter Cake Bars are a family favorite. 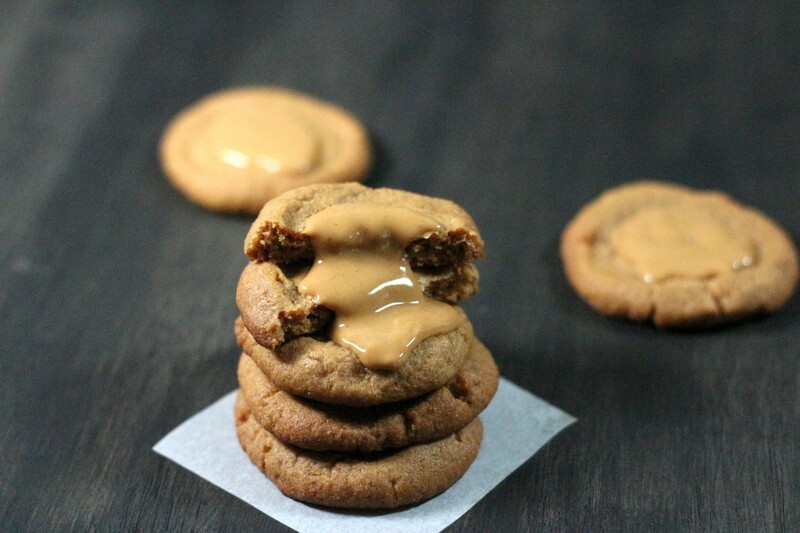 The bottom is like a crisp peanut butter cookies, and the center is like a nice fluffy peanut butter cake! Take about a two for one! 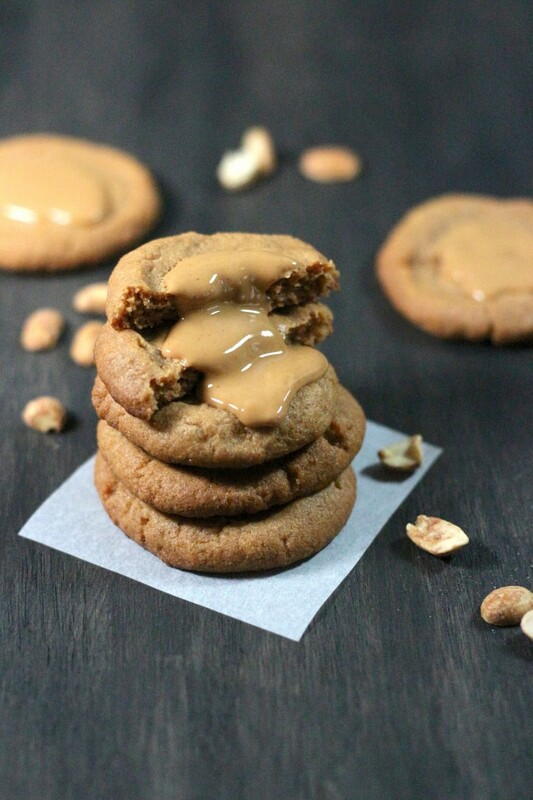 Add some peanut butter frosting on top, and these will be gone in minutes! Preheat oven to 350 degrees and lightly grease a 9x13 baking dish and set aside. In a large mixing bowl cream together butter, sugar and brown sugar. Add in eggs and vanilla extract and mix until well incorporated. Gradually add in flour, baking powder and salt and mix until combined. Transfer to greased baking sheet and bake for 38-40 minutes or until a toothpick inserted into the center comes out clean. Mix in vanilla and sugar and mix until combined. Once cake bars have cooled, frost and allow to set for 30 minutes before serving. I must start off with a warning. If you are on a diet, slowly back away, or stay and lick the screen until your heart is content! I won’t judge… I swear! Ever just have one of those days that you had no idea what to make for dinner? Yesterday was that for me, and sometimes I throw together something not so great, and others become new family favorites. 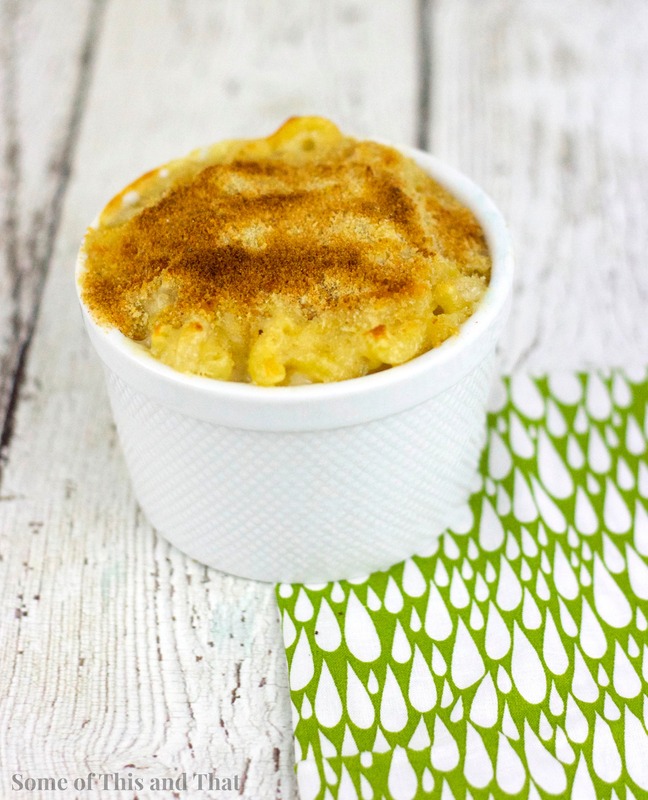 This Macaroni and Cheese is now a family favorite. Who knew by throwing in some butter, bacon grease, flour, cream and every last bit of cheese in your house could create something so mouthwatering? I may try doing that more often! Cook and drain pasta according to package directions and set aside. In a large pot melt butter and bacon grease. Add in garlic and cook on medium for 1 minute. Add in flour and salt and whisk until well combined. Gradually whisk in milk and cream and bring to a boil. Boil for 1 minute then reduce heat to low. Add in cheddar, gruyere, munster and mascarpone cheese and stir until melted. 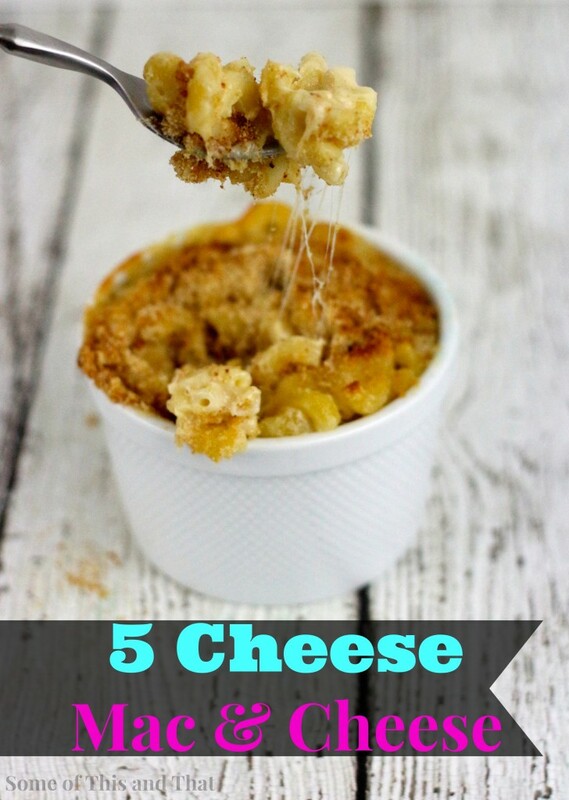 Remove from heat and combine cheese mixture with cooked pasta. Stir to coat the pasta. Transfer to a greased 9x12 baking dish. Combine breadcrumbs and parmesan cheese and sprinkle over the top.